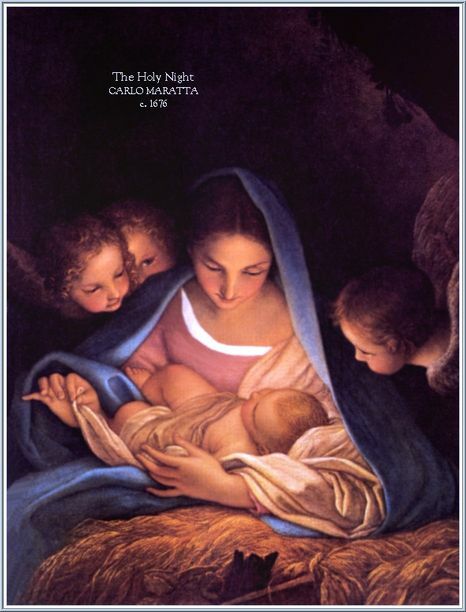 Today, we contemplate the Holy Face of The Infant Jesus, together with Mary and Joseph. God descended to earth and became human to redeem us … but He is so weak, so poor, so helpless! Mary and Joseph knew, that their beautiful, perfect child was also born to suffer. They contemplate Him in silence, like all parents of newborns, because words are useless. Together, with them, we gaze with love on Jesus’ face as He lies in the manger and our gaze becomes our prayer. While we look at Him, he looks at us and loves us; He will give His life for us. The beauty of the face of the Infant Jesus, draws us into the great mystery of redemptive suffering, to show us how God’s love was to be revealed, through self-sacrifice. Let us enter into this mystery today by gazing on the Holy Face of the newborn Jesus, and, in gazing at Him, discover the hope and joy of His redemptive LOVE!